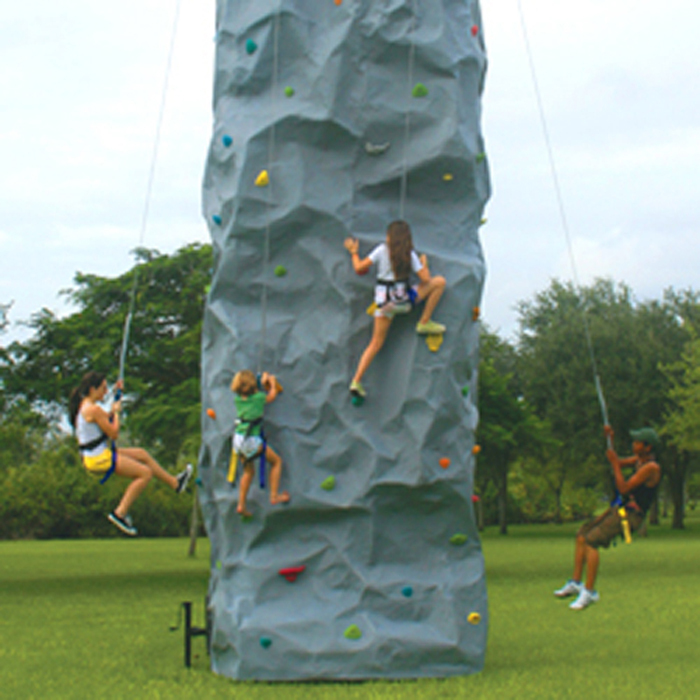 Our 4 person climbing Rock Wall is a perfect fit for BIG events and safe for all . It has 4 different climbing paths that you can try out, some easy some more difficult. Our rock wall comes with cutting edge technology like hydraulic auto belay system that gently lowers climbers safely to the ground and safety hardnesses with quick latch system that speed up the process of switching climbers. Perfect for large events like carnivals, festivals, school events, corporate events, and more! Rent the mobile rock wall, or climbing wall, for your next big event. NOTE:Entrance to the area has to be at least 15ft in width. Rock climbing wall it's transported with a truck, therefor the truck has to be able to enter where the Rock Wall will be set up, surface needs to be flat.